I wrote a new utility for translation Steam version of the game. How does it differ from ff8msg? + It allows you translate phrases in battles. + It allows you translate monster name. Added support for m00x.bin, pet_exp.bin,wmsetus.obj files. If you want edit m00x.bin and pet_exp.bin, m00x.msg and pet_exp.msg file needed in the same folder. To translate into another language, you will need to change your alphabet in encode.ini and decode.ini files. To translate into your language mngrp.bin may need to edit some offsets in the ini file. Since I set it under the Russian menu. This looks like this has some potential. However, nothing happens when I load FF8.exe into the program; this is the French 1.02 exe. ~Whatever...~ Finally married to my "Rinoa"! Darn! That's exactly what I needed for my translation! I need to try that now! Thanks! Posting links to copyrighted game files is not allowed on these forums. As a side note, you should consider making it work with more than just one specific breed of executable. Am I understanding this correctly, the tool only works with a cracked exe? We do not condone piracy of any sort here. I appreciate that you removed the link to a cracked exe, but if it doesn't work with legal copies of the game it has no place on this site. If I've understood wrong and it works with legal copies, you're fine. Please clarify. It is not only for game exe. And it work with old version of game. 1) Translator tool for file menu(mngrp.bin). 2) Translator tool for text in battle(c0mXXX.dat). v1.0.10 is old, v1.0.11 is the current version. The original v1.0.11 exe files (totally useless without the other game files) are untouched, not "fixed". Game (incl. new 1.0.11 EXE files + "fixed" 1.0.11 launcher) should start with the other old 1.0.10 files. 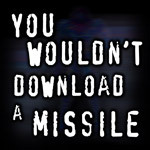 To "fix" the game, you only need to edit "FF8_Launcher.exe". To "fix" it, change F0F261 (@ 0140) to 66AB04 and 8B4614 (@0381E5) to EBCDCC. Anyway, just port your nice tool to any language and provide a clean tool, so everyone can use it. You don't need to edit any language EXE, only the launcher + new DLL. Maybe you don't even need to start the game at all to update your tool? I download 1.0.11 files from your link. It work fine with default config. Don't need any change in my tool. Thank you man! Works fine! I just need the sub-location names now! Just open namedic.bin in my tool. In namedic.bin located first part of location name. Here is the second part of the name. PS: redownload program from 1st post. Instructions have been really helpful! Thanks! I already re-downloaded the program! Did you update since last night? There's a new folder now. Rus. What's that used for? Using the tool to edit or FF8_EN FF8 always shows the error: "Write failed Text is too long.."
Always displays this error even changing only one letter. Using the tool to edit or FF8_EN FF8 always shows the error http://www.agilebuddy.com/lean-belly-breakthrough-review-and-results on the Lean Belly Breakthrough: "Write failed Text is too long.."
Are you still getting this error? I am and I followed the helpful instructions.